We asked you to tell us which restaurant in Macon had the best chicken wings and the response was amazing! The votes have been tallied and the results are in. Francar’s has served wings in Macon, Georgia since 1993. 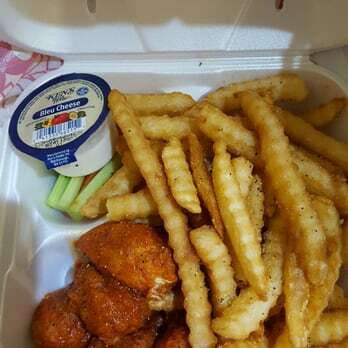 Anyone familiar with their wings knows that Francar’s has a large menu appealing to the entire community but their specialty is wings and more wings. Expect them to taste great and be affordable. The appeal of our Francar’s is universal: students, business owners/employees, kids and community members. Francar’s other services include delivery, dine-in, take-out and catering for all events. Their chain's motto is "Hot Wings, Cold Beer, Good Times." Wild Wing Café has been touted as the Best Wings South of Buffalo in 33 different made from scratch flavors, but there's a whole lot more at the Wing as well. It seems like Buffalo Wild Wings, affectionately called B-Dubs by its many loyal fans, has exploded in popularity. The chain, which started in 1982, has been on a tear recently, quickly becoming one of the country’s most popular chain restaurants. They broke the billion traditional and boneless wings mark in 2011, and it’s only increased since then. If you are in the market for wings, American Feel and Wings offers great wings. The wings by themselves are mouth-watering. They have that crinkly exterior, jam packed with a tangy buffalo taste, while the real meat of the wings is juicy and piping hot. 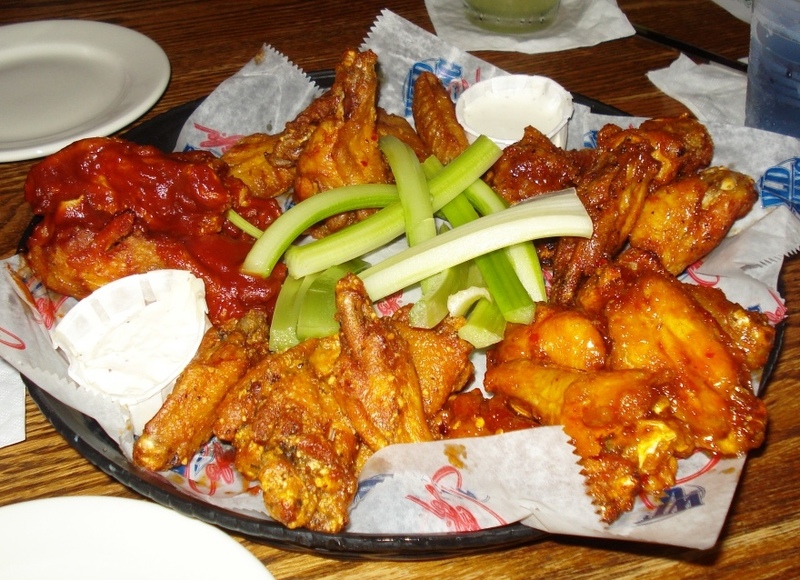 You can’t have a sports tavern without some of the best wings in town! Bearfoot Tavern offers a great atmosphere, and consistently good wings. Instead of offering a never-ending list of wings flavor options, they chose to create a limited flavor list that is ALWAYS good. Bearfoot’s Signature Wings come in 10 different flavors from Mild to Mango Habanero. When the cameras stop rolling where do celebrities dine? Check out this Top 5 to find out.